Beigu nots: Pačūlija, Ozola sūnas, Baltais muskuss un Sveķi. 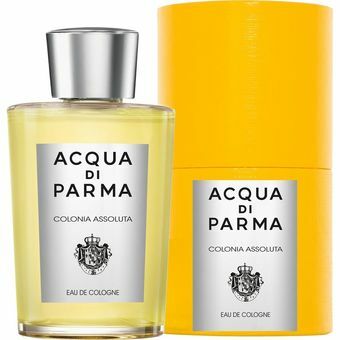 Acqua di Parma Colonia Assoluta by Acqua di Parma is a Citrus Aromatic fragrance for women and men. Acqua di Parma Colonia Assoluta was launched in 2003. Acqua di Parma Colonia Assoluta was created by Bertrand Duchaufour and Jean-Claude Ellena. Top notes are bergamot, bitter orange, sweet orange and lemon verbena; middle notes are jasmine, vetiver, ylang-ylang, cedar, cardamom, pink pepper and paprika; base notes are patchouli, oakmoss, white musk and resins.